I would like more information about 430 Grassdale Road. 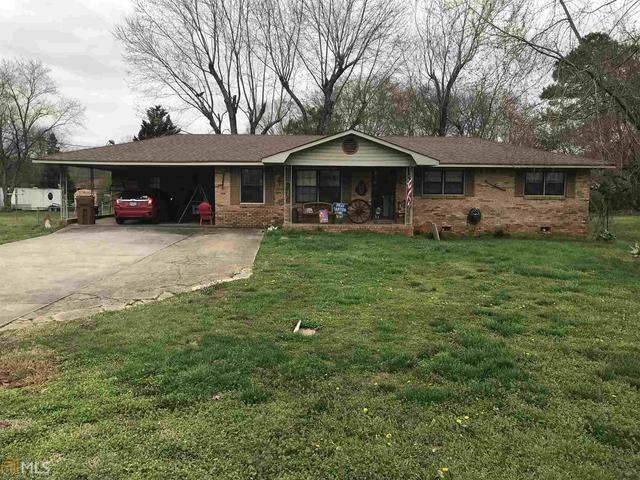 Well maintained brick ranch home in city. Home has original hardwood floors & boast a seatable dining area. Home needs some updating. Shop in fenced backyard has power. Directions: Hwy 41 N to Grassdale Rd Turn Right. House is on the Left across from Citgo Station. Listings on this website come from the First Multiple Listing Service, Inc. ("FMLS") IDX Compilation or Georgia MLS ("GAMLS") and may be held by brokerage firms other than Compass. The listing brokerage is identified in any listing details. Listings from the FMLS or GAMLS are for the consumer's personal, non-commercial use and may not be used for any purpose other than to identify prospective properties the consumer may be interested in purchasing. Information (including measurements), regardless of source, is deemed reliable but should be independently verified and confirmed. No guarantee, warranty or representation of any kind is made regarding the completeness or accuracy of the information and Compass expressly disclaims any liability in connection herewith. If you believe any FMLS listing contains material that infringes your copyrighted work please click here to review the FMLS DMCA policy and learn how to submit a takedown request. © 2019 GAMLS; FMLS. Date last updated: 03/26/2019 08:13 PM.